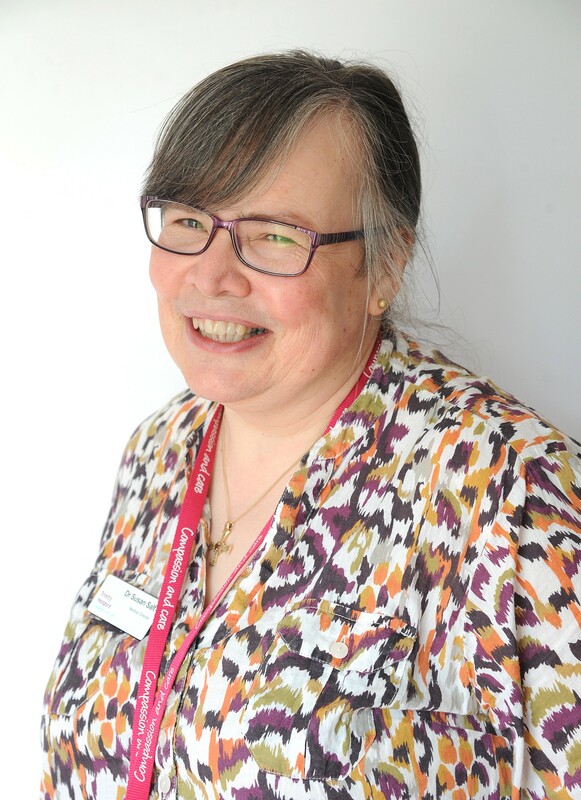 After 12 years working as Medical Director at the Fylde Coast’s only hospice, Dr Susan Salt is moving on to pastures new as she retrains as a priest in the Church of England. But she says her first impression of Trinity as an organisation full of commitment and passion to put patients at the very heart of the hospice’s work remains her abiding memory. She said: “Trinity is an organisation that cares – not just about the patients and families, but also about its staff. To walk away from it all will be incredibly painful. But I do feel I am leaving Trinity in a very good position. Dr Susan leaves Bispham-based Trinity in March, and will be ordained as a Deacon at Blackburn Cathedral in June. She will then continue her training in a rural parish near Beacon Fell before becoming a Priest in 2020. She said: “I think there are transferable skills between what I am doing now and what I will be doing, largely in terms of being alongside people, listening to them and sharing their lives,” she said. Dr Susan says she is very privileged to have been welcomed into families at an extremely difficult time, and takes that with her as she leaves. The Rev Matt Allen, Director of Studies for Blackburn Diocese and the All Saints Centre, said: “It has been a delight to be involved in Susan’s training for ordained ministry over the past couple of years. "She is someone of vast experience who recognises the needs of others in the community and responds with both wisdom and compassion. "I am convinced that she will be a person of faith, hope and love among those whom she will serve."